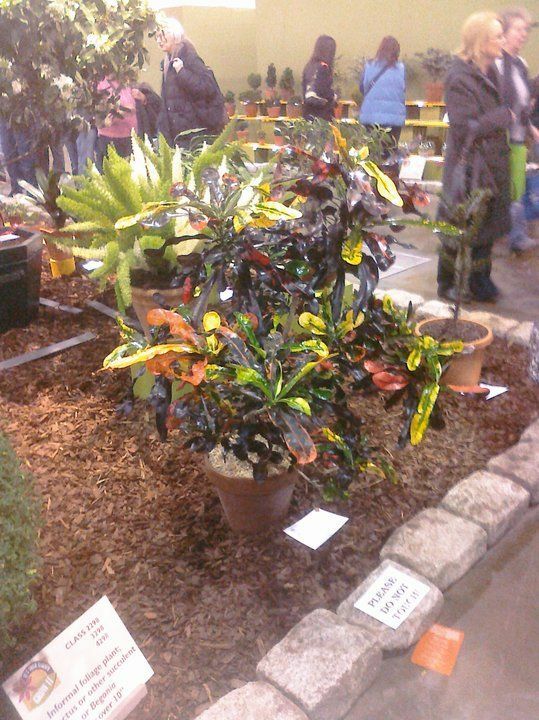 Scattered here and there on the show floor were what I consider to be "odd" plants. Native or not, some of them are just wired. 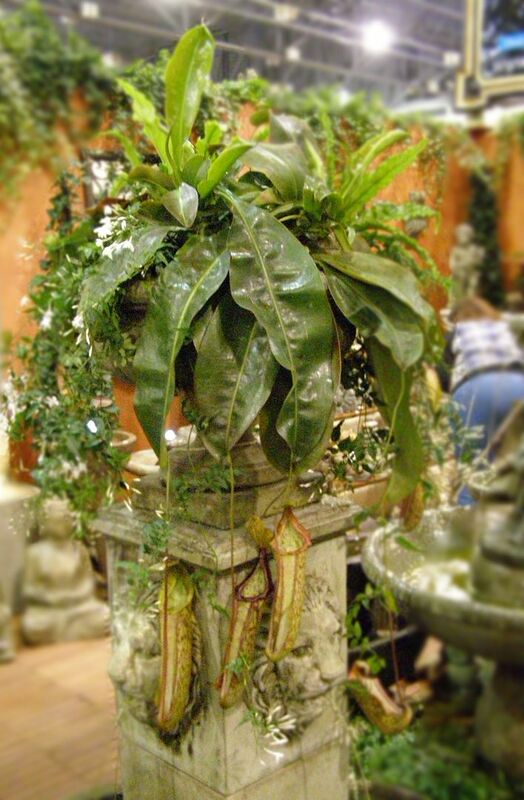 The enormous pitcher plant (Nepenthes sp.) pictured above for example. 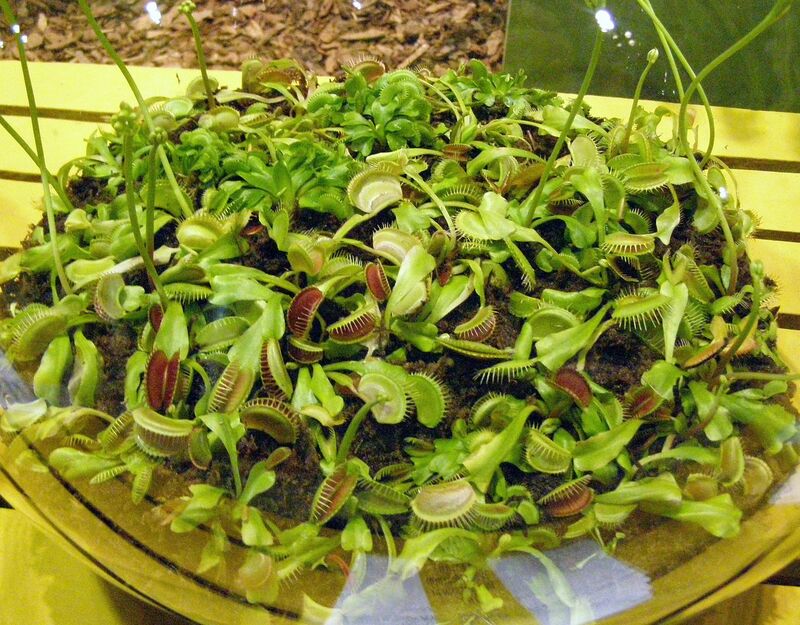 Carnivorous plants aren't exactly odd but it's unusual seeing them grow in a pot meant to be a bouquet. 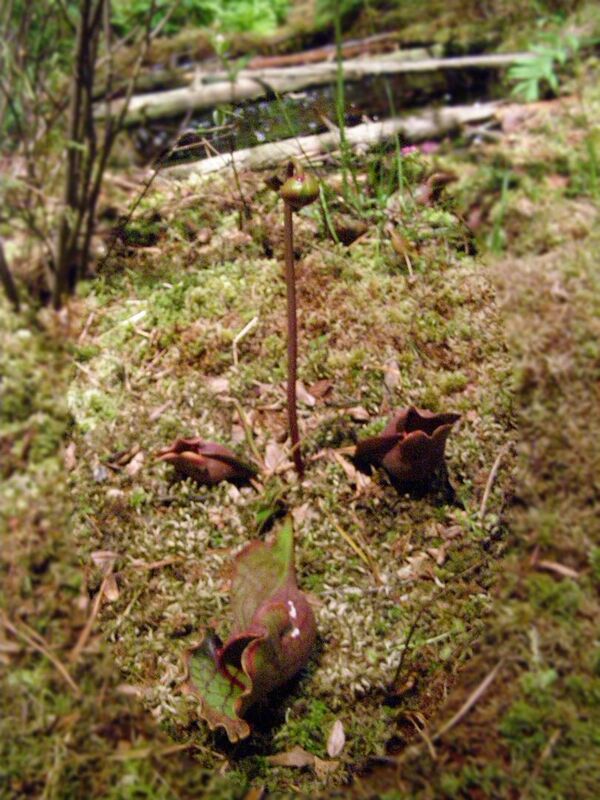 Sarracenia purpurea is a native pitcher plant. I actually didn't notice it walking by the display the first time. Thankfully the friends I was with do a good job of getting separated and I had to track back to find them. At first it was the flower that caught my eye. But then I realized it belonged to the pitcher plant below. 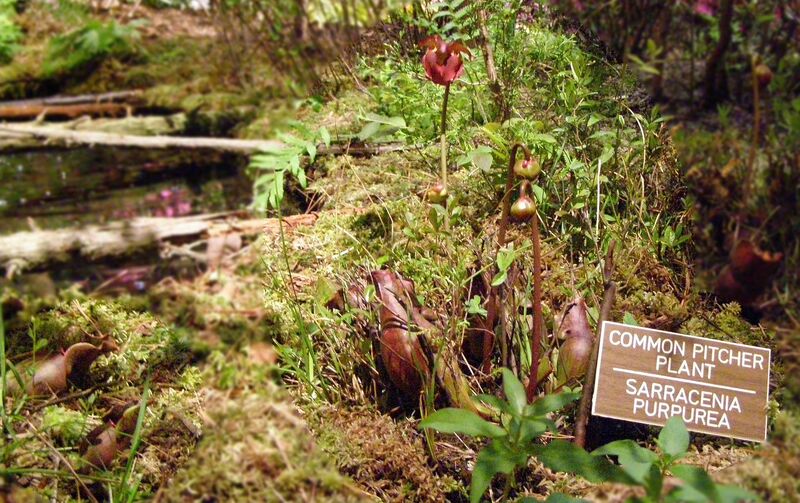 Suddenly having a bog garden is very appealing. It's a shame so many people walked by this plant. Perhaps if they had a layer of light pebbles planted around them they would have gotten more attention. Virtually no one was looking at them. And I'm seriously considering a few for my yard. 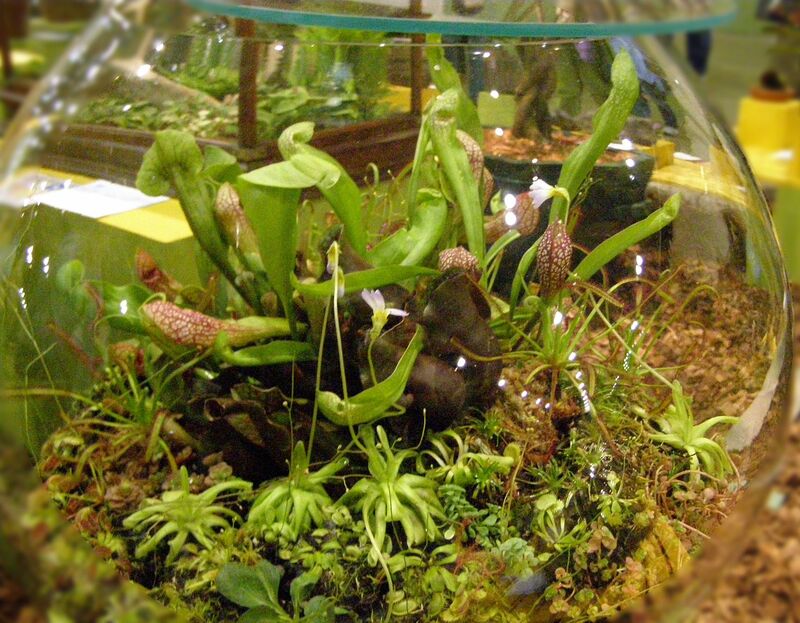 Other carnivorous plants were growing in glass jars for part of the competitions. There are hundreds of categories with maybe 3 or 4 entries each. They range the full gambit of possible things to compete on. 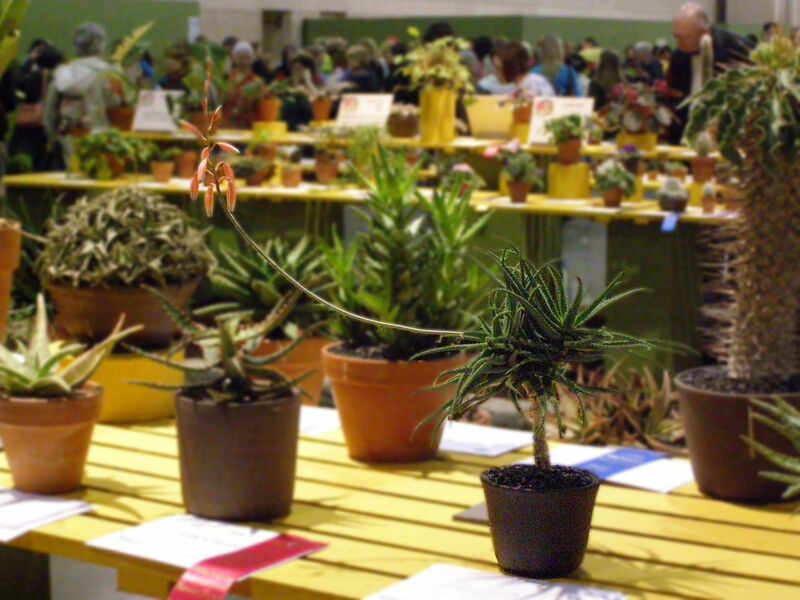 I think this competition was for Most Carnivorous Plants Grown in a Jar. 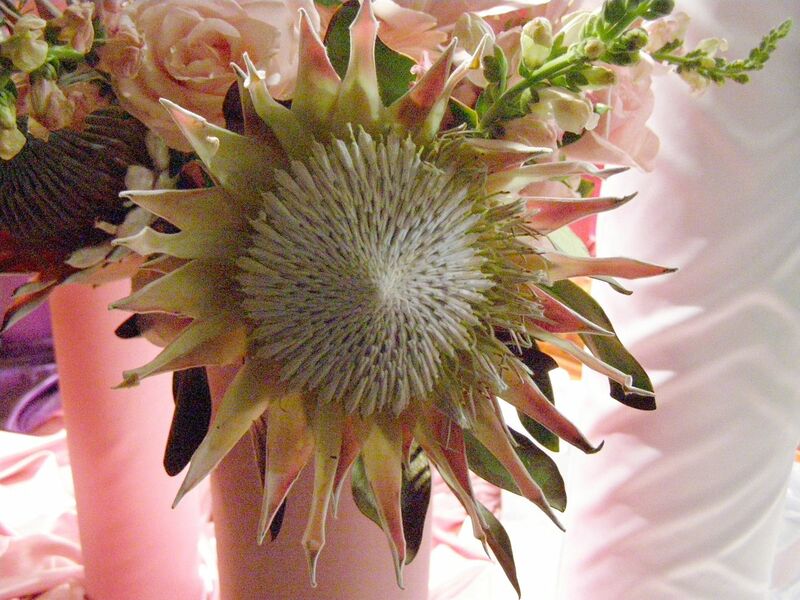 This is was just an odd flower in a bouquet somewhere. Not sure what it is. 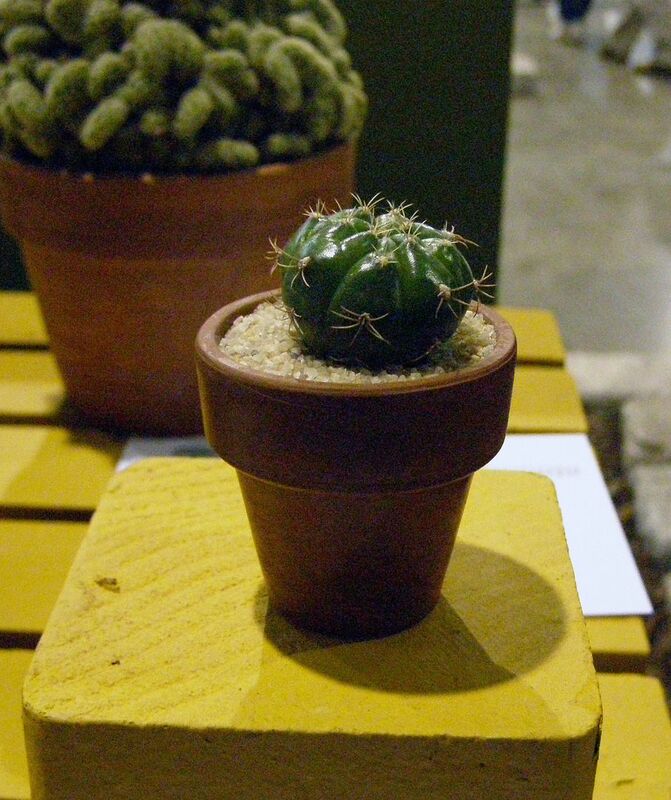 Probably competing for Worlds Smallest Cacti. That is a 1 inch pot. 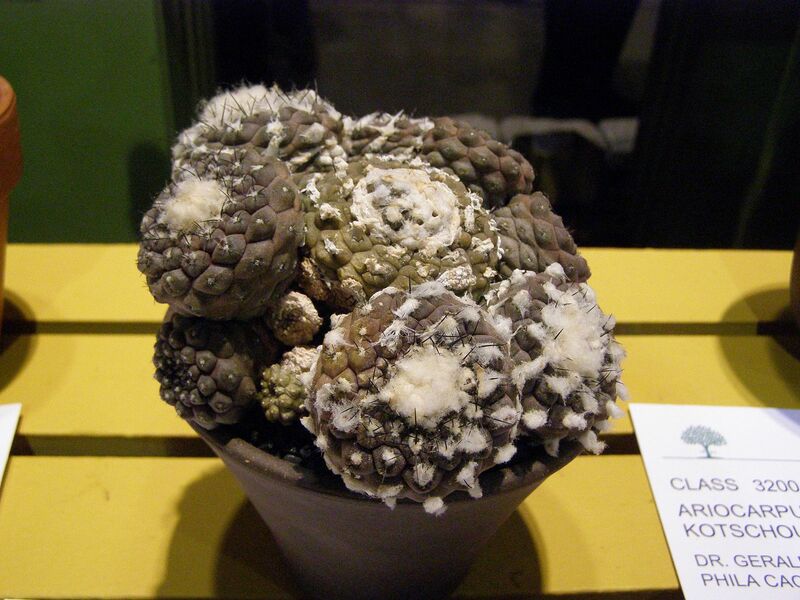 There were several tables of odd looking succulents, and cacti. 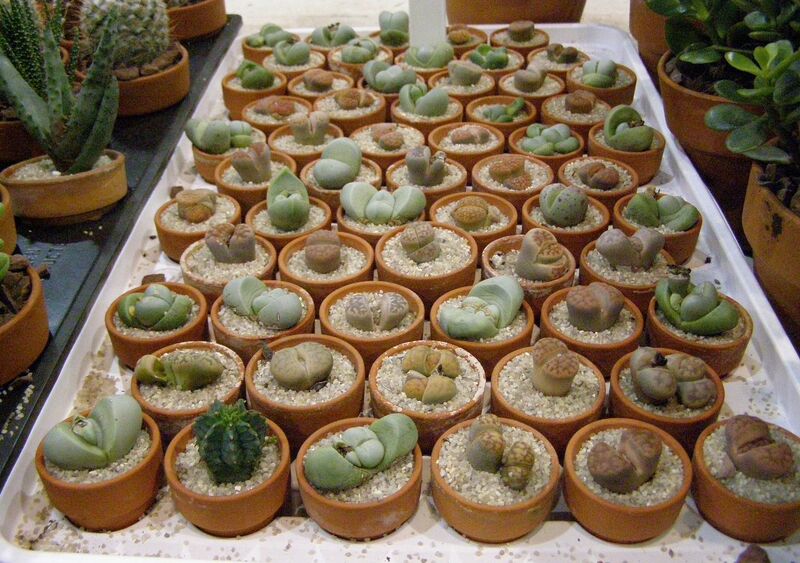 If I could I'd have put a pot of peyote on display and see how long until someone noticed. 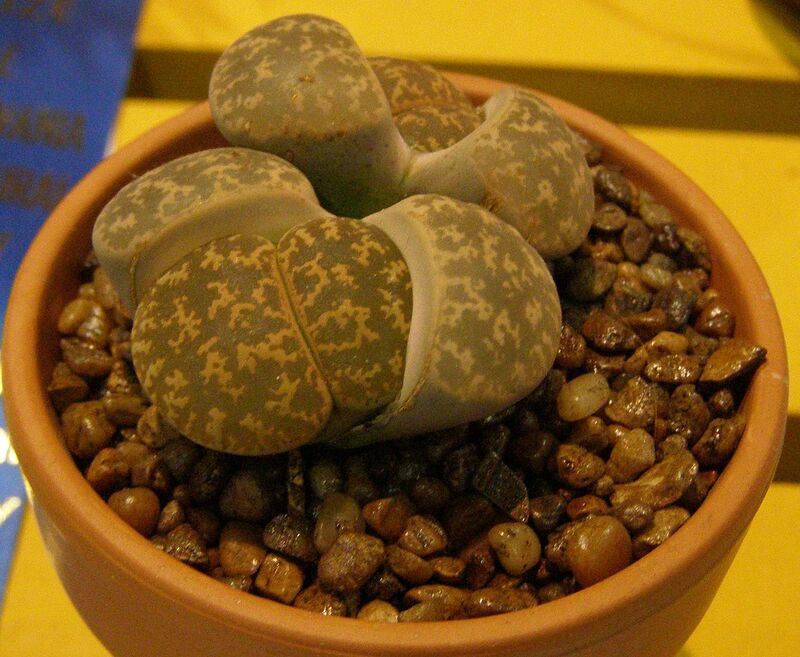 And the award for Succulent that Most Resembles a Muffin Grown in Space goes to.... This One! 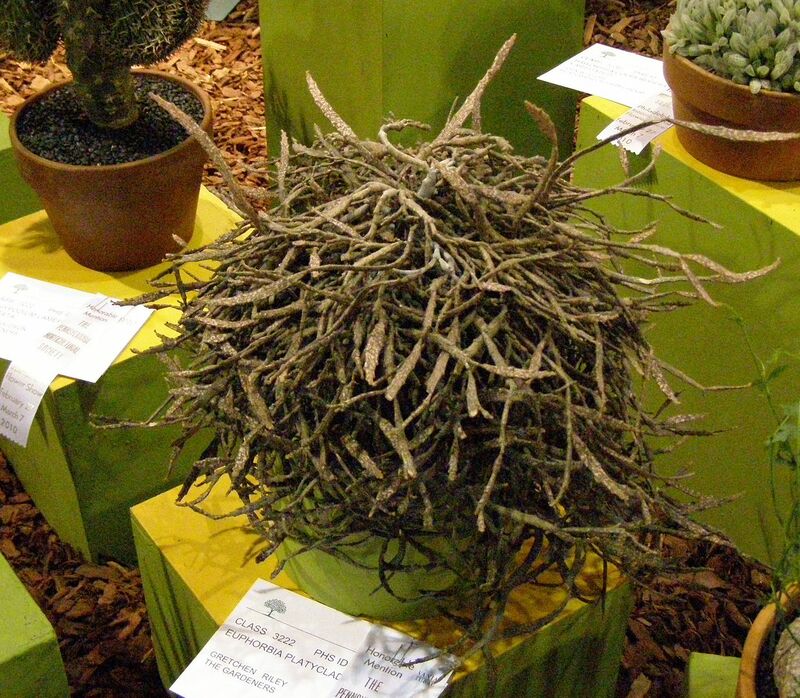 Though I loved this adorable little ... uhhh plant(?) I have to say I was annoyed to they were on sale only a few yards away. How the hell does anyone judge these these things? I could have won a blue ribbon for something I bought at the gift shop and entered in one of their competitions. 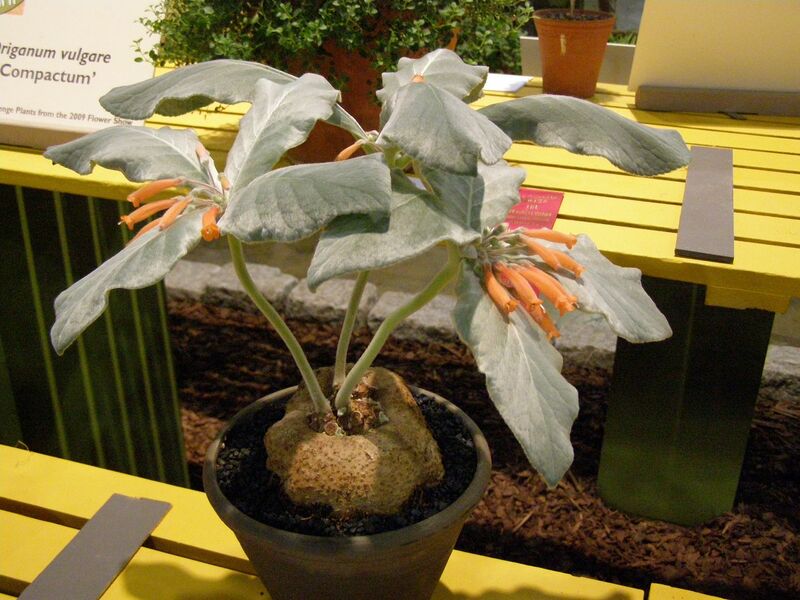 Back in 2007 this plant (I still don't know the name) was hailed as rare. This year though there were 4 of them on display. Even this little shrub is voting for the plant next to em.